The Museum explores the story of the Lancashire soldier in peace and war, with galleries, collections and archives which illustrate the compelling story of some of Lancashire's famous regiments. 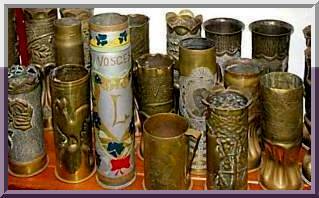 Great War Trench Art, and an archive of WW1 may be found here. "In Loving Memory of Cpl Channing Amanda Day (12.3.87 - 24.10.12) From The Officers & Soldiers Of 12 Medical Squadron"